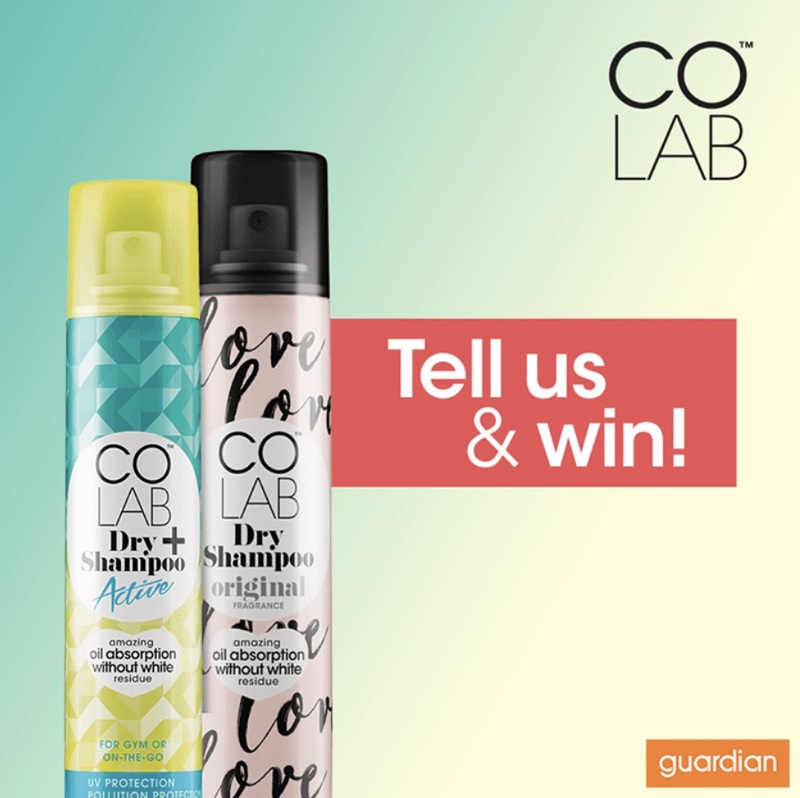 On 28 December 2017, Guardian is giving away 10 pairs of COLAB Active & Original Dry Shampoo to 10 lucky winners! COLAB’s dry shampoos are known for their unique formula that provides amazing oil absorption without white residue. Active: Perfect for gym bunnies who need a quick freshen up on the go. This formula is super charged with active ingredients to protect hair against sun damage and city pollution. Original: Give hair an instant wow-factor with this bergamot and rose scented dry shampoo that will refresh hair to keep it looking chic all day. Winners will be picked based on the quality of their answers. Good luck!